Edward Shaoul is an associate in the Finance & Acquisitions Department of Davis Graham & Stubbs LLP. His practice focuses on securities law disclosure and compliance, mergers and acquisitions, public and private placements of debt and equity securities, corporate governance, and entity formation. He works with clients across a broad range of industries, including agriculture, energy and natural resources, financial services, manufacturing, real estate, technology, and wholesale and retail. Mr. Shaoul has more than 10 years of investment banking and finance experience, primarily advising clients in mergers and acquisitions, capital raising, and principal investment transactions. Prior to law school, he was the executive vice president of strategy and business development at The Chotin Group, an investment management firm, and a director at Headwaters MB, a middle-market merchant bank in Denver, Colorado. In addition, he was a vice president at Allen & Company and an associate at Goldman, Sachs & Co. in New York. As an investment banker, Mr. Shaoul executed transactions representing more than $20 billion in value. In law school, he was editor-in-chief of the Denver University Law Review. Currently, Mr. Shaoul is a member of the DGS Diversity & Inclusiveness Committee. 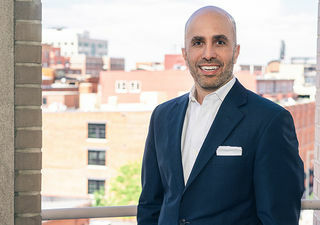 He also serves on the alumni council of the University of Denver Sturm College of Law, on the advisory board of the Denver Law Review, and on the board of directors of JEWISHcolorado, a local nonprofit organization. Outside of the office, he enjoys playing golf and tennis. Below are selected transactions in which Mr. Shaoul has assisted clients in his capacity as a legal advisor and investment banking advisor, respectively. Represented a public independent oil and gas exploration and production company in a merger with a company focused on the development of liquefied natural gas. Represented a public independent oil and gas exploration and production company in a strategic exchange involving the repurchase of its Series A Convertible Preferred Stock in exchange for a 100% interest in a subsidiary that owns oil and gas leases in the Poplar field and other assets and liabilities. Represented a public global real estate franchisor in two acquisitions of master franchises, one for the New York region and another for the State of Alaska. Represented a public water and wastewater services company in the sale of approximately 14,600 acres of real property and certain water rights. Represented a public oil and gas exploration and production company in a strategic combination involving the acquisition of certain subsidiaries (including producing assets, undeveloped acreage and other assets) and an undivided interest in a horizontal Eagle Ford development project in exchange for shares of common stock. Represented a target public company in a hostile proxy contest. Represented a public Western U.S. regional homebuilder in a corporate reorganization. Represented a liquefied natural gas company in a public offering of common stock. Represented an independent oil and gas company in a rights offering of common stock. Represented a public mineral exploration company in successive U.S. and Canadian private placements of shares of common stock and warrants. Represented a public mining and exploration company in a concurrent public offering and private placement of shares of common stock and warrants. Represented a public rare earth exploration and development company in two registered direct offerings of common shares and warrants. Represented a private equity firm in the acquisition of the largest independent drywall distributor in Colorado and a related equity financing. Represented an upstream energy company in its formation and debt and private equity financing. Represented a public grower and manufacturer of macadamia nuts and snack products in a rights offering of Class A units of limited partnership interests. Represented a public global business process outsourcing company in the sale of its customer relationship management services subsidiary to a strategic buyer. Represented a public operator of cable television systems in the sale of the company’s assets. Represented an international media company in the restructuring of its film production business through a strategic alliance. Represented a voice and data services provider in the sale of the company to a private equity buyer. Represented a U.S. telecommunications company in its purchase of a subsidiary of a global connectivity services provider. Represented a public media conglomerate in its acquisition of an interest in a television network and several television stations. Represented a motion picture and home entertainment company in the sale of the company to a strategic buyer. Represented a public Internet advertising services provider in the sale of its online advertising sales and representation division to a strategic buyer. Represented a manufacturer of collectible games in the sale of the company to a strategic buyer. Represented a public media conglomerate in its purchase of a controlling interest in a television network. Represented a public independent television production company in the sale of the company to an investor group. Represented a public Internet advertising company in its acquisition of the North American media business of an online advertising company. Represented a public provider of broadband voice and data communications services in connection with a $50 million investment by an internet services provider. Represented a public cable system operator in a $400 million issuance of senior discount notes. Represented a public wireless infrastructure provider in a $352 million block trade of common stock. Represented a public cable system operator in a $500 million issuance of senior notes. Represented a public wireless infrastructure provider in a $758 million dual tranche offering of common stock and convertible preferred stock. Represented the special committee of the board of directors of a public rural incumbent local exchange carrier in a share reclassification and conversion. Represented a merchant banking firm in its purchase of Series B preferred membership interests in an operator of bowling and entertainment facilities.